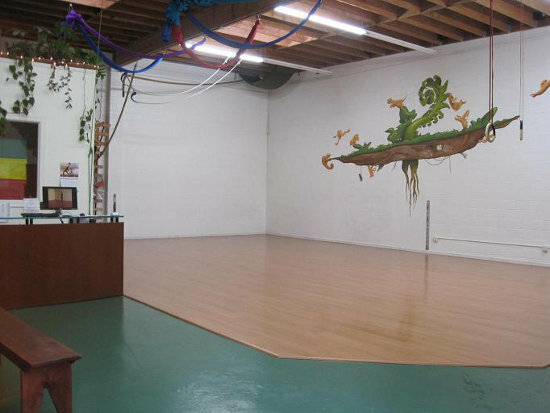 A holistic gym/studio in Emeryville, California, Athletic Playground has two spaces that are rigged for aerial, both a little below 5.5 metres. Both spaces are available to rent privately (which is pretty expensive), but the Playground also has daily Open Gym sessions (free for members, $5 per session otherwise) with ropes, fabrics, and static double-point trapezes rigged. If you want to use and rig your own equipment that's fine, but there's a $5 fee.